Draft: 2014, Houston Astros, 34th rd. Graduated from South Broward High School (Fla.) in 2011...was a three-year letter winner in baseball... hit .370 with 21 RBI during his senior season, while posting a 2.13 ERA and 55 strikeouts in 45.0 innings pitched...Attended Division II Barry University in 2012, appearing in four games and throwing 5.0 innings pitched...transferred to Division II Western Oklahoma State College and had a redshirt season in 2013...In 2014, Made 16 appearances (10 starts) at Western Oklahoma State, going 4-1 with a 3.21 ERA and 56 strikeouts in 61.2 innings pitched... Was selected by the Astros in the 34th round of the 2014 MLB Draft...was signed by Astros scout Jim Stevenson...As a 34th round pick, became the lowest-drafted pitcher in franchise history to make a start for the Astros in the Major Leagues...surpassed the previous club-record holder, Darryl Kile, who was a 30th round selection in the 1987 MLB Draft...Was selected to the Astros Major League roster on Sept. 1, 2018...is signed to a one-year contract through the 2019 season. Was named the Astros Minor League Pitcher of the Year and exploded onto the Major League scene with a fastball that topped out at 101.1 miles per hour...was dominant in six games (3 starts) in September, striking out 29 batters and walking seven in 23.0 innings pitched...held opponents to a .183 batting average (15x82)...fired six pitches that clocked in at 100+ miles per hour, per Statcast... began the season at Double A Corpus Christi...was promoted to Triple A on May 6...selected to the Major League roster on Sept. 1...made his MLB debut on Sept. 1 in a start vs. LAA...the 34th-round pick surpassed Darryl Kile (30th round, 1987 MLB Draft) as the lowest-drafted pitcher in franchise history to make a start in Major Leagues for Houston...went 5.0 innings in his Major League debut, allowing 3 runs on 3 hits...struck out nine batters to tie the second-most strikeouts by an Astros pitcher in a Major League debut...also Scott Elarton (June 20, 1998 vs. CIN) and Dan Larson (July 18, 1976 at MON)...made his first-career relief appearance on Sept. 8 at BOS, throwing 2.2 scoreless innings in Houston's 5-3 win...struck out four and allowed just one hit...on Sept. 18 vs. SEA, earned his first-career Major League win in what was his fourth-career game (2nd start) in the Major Leagues...threw 5.1 scoreless innings, striking out seven batters with two walks and four hits allowed...was the second consecutive game that an Astros rookie starting pitcher went at least 5.0 scoreless innings, as Framber Valdez fired 5.0 scoreless innings the night before...marked the first time in Astros franchise history that rookie starting pitchers threw 5.0+ scoreless innings in consecutive games...made two appearances during the postseason, with both games coming during the ALCS vs. the Red Sox (Games 2 and 4)...was on the Astros ALDS roster but did not pitch in the series....posted a 7.71 ERA (4ER/4.2IP) with two walks and seven strikeouts in the ALCS...struck out five batters over 3.2 relief innings in Game 4 of the ALCS vs. BOS...marked the second-most strikeouts by a rookie reliever in the postseason in franchise history, behind Jose Cabrera and his six strikeouts in Game 3 of the 1999 NLDS vs. ATL ...combined to go 6-4 with a 3.23 ERA (41ER/114.1IP) and 171 strikeouts in 23 games (21 starts) at Triple A Fresno (17g) and Double A Corpus Christi (6g)...led the minors in strikeouts per 9.0 innings ratio (13.46) and strikeout rate (36.3%)...his 171 strikeouts were tied for the fourth-most in the minor leagues and were the most by an Astros minor league pitcher in over a decade...named the Astros Minor League Pitcher of the Month for April after posting a 1.80 ERA (4ER/20IP) with six walks, 34 strikeouts and a .208 opponent batting average at Double A Corpus Christi...the 34 strikeouts were tied for the most in the Texas League during the month, while his ERA ranked second. September 1, 2018 Houston Astros recalled RHP Josh James from Fresno Grizzlies. May 6, 2018 RHP Josh James assigned to Fresno Grizzlies from Corpus Christi Hooks. August 12, 2017 Corpus Christi Hooks activated RHP Josh James. August 1, 2017 RHP Josh James roster status changed by Corpus Christi Hooks. July 17, 2017 Corpus Christi Hooks activated RHP Josh James from the 7-day disabled list. July 2, 2017 Corpus Christi Hooks placed RHP Josh James on the 7-day disabled list. June 25, 2017 Corpus Christi Hooks activated RHP Josh James from the temporarily inactive list. June 21, 2017 Corpus Christi Hooks placed RHP Josh James on the temporarily inactive list. May 25, 2017 Corpus Christi Hooks activated RHP Josh James. May 23, 2017 RHP Josh James roster status changed by Corpus Christi Hooks. May 1, 2017 RHP Josh James assigned to Corpus Christi Hooks from Tri-City ValleyCats. April 28, 2017 RHP Joshua James assigned to Tri-City ValleyCats from Corpus Christi Hooks. September 30, 2016 Joshua James roster status changed by Lancaster JetHawks. September 1, 2016 Lancaster JetHawks placed RHP Joshua James on the 7-day disabled list. April 5, 2016 RHP Joshua James assigned to Lancaster JetHawks from Quad Cities River Bandits. April 1, 2015 RHP Joshua James assigned to Quad Cities River Bandits from Greeneville Astros. October 30, 2014 RHP Joshua James assigned to Indios de Mayaguez. October 30, 2014 Indios de Mayaguez placed RHP Josh James on the reserve list. June 18, 2014 RHP Joshua James assigned to Greeneville Astros. 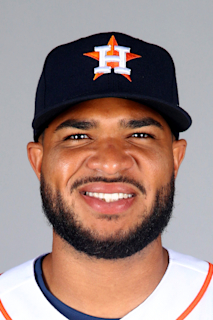 June 17, 2014 Houston Astros signed RHP Josh James.